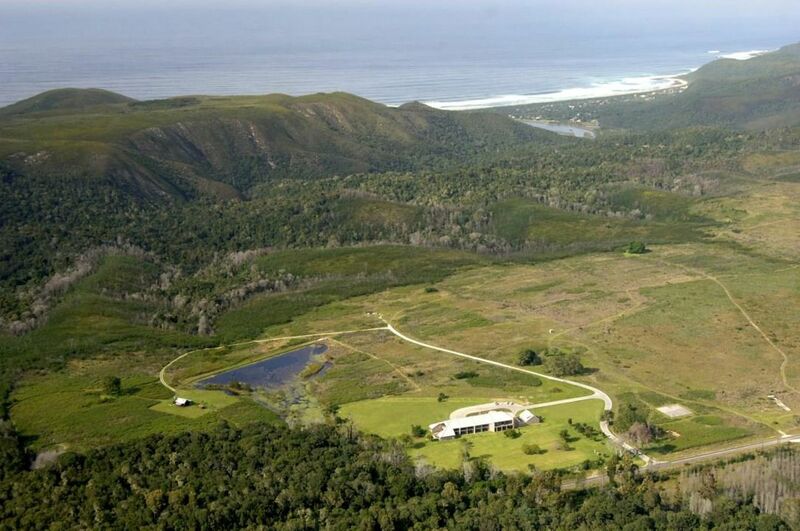 Sign up and receive Property Email Alerts of Farms for sale in Tsitsikamma, Tsitsikamma. What is Plateau Country House? Is it a country house? Is it a wellness centre? Is it a wedding venue? Is it a corporate retreat? It is all of the above and more! It can be what you want it to be! Change your lifestyle! Where is Plateau Country House? In the heart of the Garden Route nestled below the craggy Tsitsikamma mountains, amongst the indigenous bush and fynbos covered slopes overlooking the Groot Rivier lagoon at Natures Valley with its secluded sandy beaches. -	The structure and the interior are of the highest standard (Daikin Inverter climate control, sisal and other commercial grade carpeting, porcelain tiles, Teak flooring, cabinets of solid African Rosewood, solid timber doors and jamb liners, locally manufactured custom furniture of solid timber, high thread count percale linen, extra length beds on leather-covered basis etc. -	3 phase equipment including water pumps (Grundfos), ovens (Rational), coldroom (Copeland), saunas, extractor fan etc. Development of the main structure was concluded in 2007, and it was then operated as Plateau Country House until 2012. Although maintenance to garden aesthetics has been reduced since 2013, maintenance to facilities remains prioritised. Sign-up and receive Property Email Alerts of Farms for sale in Tsitsikamma, Tsitsikamma.